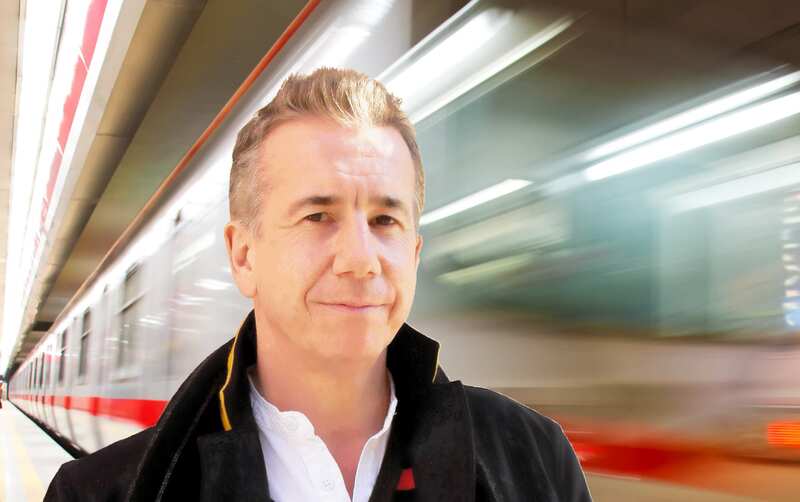 The Mindful Pianist is a new book written by British pianist, author, teacher, composer, researcher, examiner and adjudicator, Mark Tanner (pictured above). This volume forms part of EPTA‘s (European Piano Teachers Association) Piano Professional Series, and is published by Faber Music. I invited Mark to answer twelve questions about his life and diverse career as a musician. Here are his thoughtful, erudite responses (in italics). I hope you enjoy reading as much as I did. You’ve enjoyed a varied, eclectic career; performing, writing, editing, composing, teaching, researching, and working as an examiner and adjudicator. How is your time divided between these different pursuits? I’ve evolved what musicians often like to call a ‘portfolio existence’ – partly out of necessity, but mainly in response to my varied interests, many of which I’ve been lucky to watch blossom over the years. My performing career has spurred off into many directions. Appearances include five solo recitals at London’s Wigmore Hall, the Purcell Room and St John’s Smith Square, along with many other appearances up and down the country as soloist, in concertos and with a variety of ensembles. A venue close to my heart is St George’s Bristol, where I have appeared with Allan Schiller, Richard May, Gillian Poznansky and Michael Langdon-Davies – I’ve also made several recordings there. Recitals on cruise ships continue to form an important part of my life, too – I’ve given over 300 recitals on all of the Cunard, P&O and Saga ships, many of which have been with my partner, flautist Gillian Poznansky, with whom I have also recorded a couple of CDs. I have made an especial feature of British piano music, with recordings, recitals and broadcasts of previously unrecorded music by York Bowen, Peter Wishart (I later edited Wishart’s entire output of piano music for Edition Peters), John McLeod (various premières in the presence of the composer, including live on BBC Radio 3), Graham Lynch and Graham Fitkin. Performing – and indeed the whole process of gearing up for recitals and recordings – has always fed naturally into my professional life. I went through a phase of playing piano/keyboards for musicals, pantomimes and backing well-known comedians in cabaret, which has certainly stood me in good stead when it comes to living off my wits (a surreal engagement in more recent times involved playing on a dummy piano to ‘accompany’ Susan Boyle for her guest appearance on the X Factor). Although these days there tends to be extended periods during which I allow practising to slip, I can’t really imagine a life without the challenge of new repertoire. Teaching seems always to have played a role in my musical life. Any aspiring professional musician who is not prepared to consider a certain amount of teaching is probably being rather unrealistic. Moreover, teaching is a way of tapping into the realities and passions of others. For some sixteen years I was Assistant Director of Music at Taunton School in Somerset. Teaching in a public school environment carried with it all kinds of parallel activities (I was head of squash, umpired the 2nd cricket team, edited the school magazine, became deputy house master of a boys’ boarding house, as well as the usual musical activities such as running bands, doing bits of conducting and putting on musicals, carol services and so on). I have enjoyed teaching privately too, as well as at summer schools. These include the Chetham’s International Piano Summer School, Jackdaws Educational Trust and Dillington House in Somerset, Maryland College in Woburn, the Farncombe Estate in Gloucestershire and the National Young Pianists at Uppington School. Commitments at home and abroad have always discouraged me from taking on regular work at higher education establishments, though I do pop up at various colleges and universities from time to time, to give recitals and masterclasses, and also to talk with students about career paths. These days, I give occasional consultation lessons, the odd Skype session (perhaps in a student’s run-up to a diploma or recital), though I can’t usually offer the kind of continuity most pianists seem to need. Composing continues to play a very robust role in my musical life. Stimulated initially by an interest in obscure contemporary piano music, I found myself partly switching tactic as far as my own compositions are concerned. This triggered what would turn out to be a very fruitful ongoing relationship with Spartan Press, an enterprising publishing company based in the Highlands of Scotland. For Spartan, I have now composed, transcribed and arranged over 60 volumes of music, roughly half of which is for piano, the remainder for a variety of other instruments and voices. Writing music for the ‘educational’ milieu requires a sensitivity to what is practical, not merely an idea of how one might like a particular piece to sound. This has undoubtedly tugged me towards a more pragmatic way of thinking and writing, which is no bad thing, for a piece is ultimately more likely to hit the mark as regards general appeal and approachability. 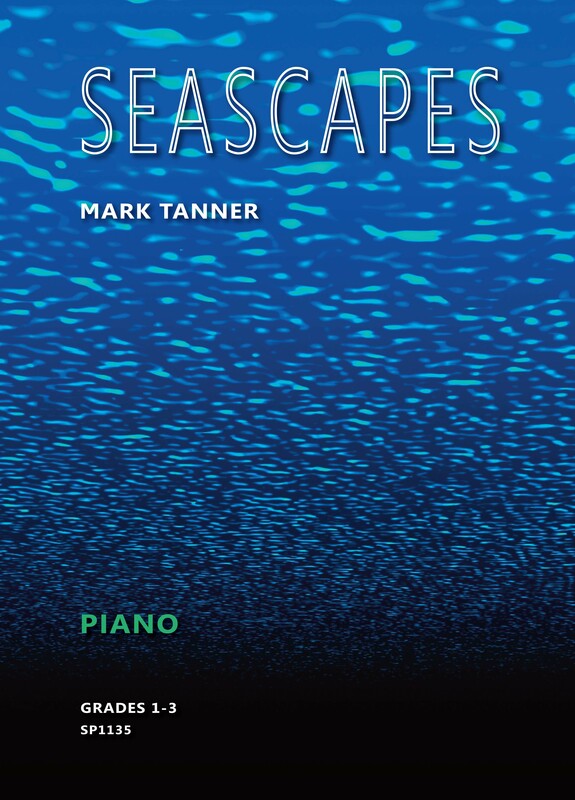 It was gratifying to have my ‘Scapes’ piano series (published in five volumes) shortlisted for a recent Music Teacher Award, and indeed to follow the progress of around 20 pieces onto the current syllabuses of ABRSM, TCL and LCM. I continue to get lively responses via my website (www.marktanner.info) regarding the five piano pieces featuring on the TCL syllabus. It is in the very nature of writing educational music that composers keep their fingers crossed every time a new syllabus launch is in the offing. My Lullaby for Prince George (a grade 5 piece composed for Pianist Magazine) captured the attention of Classic FM a couple of years back; this spike in interest certainly heightens the presence of a composer (incidentally, the Lullaby, along with Nocturne for Princess Charlotte, is now published in a volume entitled Sleep Tight). I am particularly pleased with a recent five-volume series of piano pieces, which I ended up calling Listen to the World – it taps into all kinds of ‘sound-moods’, which range from Bangkok Busker to Air Balloons over Albuquerque. 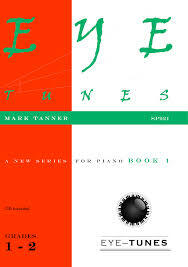 I like to think I have remained fairly true to the philosophy of my first series of published books – Eye-Tunes – which evolved over a few years into a twelve-volume set comprising exactly one hundred pieces; from these, I went on to cherry-pick some arrangements for flute and piano, which became Creature Comforts and Flute Pastilles. As a spinoff from my ‘usual’ approach to composing, I enjoyed putting together a four-volume series of Elizabethan pieces from the famous Fitzwilliam Virginal Pieces – intriguing miniatures, which seemed to be screaming out for a contemporary face-lift; I called it A Renaissance Keyboard Anthology. This later prompted me to compose a one-off set of quirky pieces in response to the originals, which I called The FitzTanner Collection. Writing has always been something which gives me terrific pleasure and satisfaction. I wrote my PhD thesis on the performance history of Franz Liszt, and this spawned various articles in scholarly journals, published both in the UK and US. I then enjoyed writing several hundred articles and reviews for International Record Review, Classical Music, International Piano and Musical Opinion. For Pianist Magazine, I have written two dozen feature-length ‘masterclass’ articles, which cover aspects of piano playing such as rubato, improvisation, holding momentum, pedalling and so on. I was pleased recently to take on the role of Guest Editor for EPTA’s flagship Magazine, Piano Professional. Examining for ABRSM is by its very nature hard work. It involves a lot of traveling around, plus an amount of administration and organisation, not to mention sitting behind a desk for six or more hours at a time, scribbling like a crazed man. The challenge of examining is to listen intently to what is happening, while keeping in mind the previous item about which you will probably still be writing! In the UK, I usually examine for about a fortnight in each of the three sessions, which is the maximum I can tuck in due to other commitments. Though I live in the South West, some of this will end up being in London, as I am on the Examiner Training Panel, which takes prospective examiners from interview on through a rigorous process leading to (hopefully) the finished article. I find the international side of examining tremendously rewarding, though challenging work. There can be language difficulties to overcome, hassles with getting to and from obscure venues, issues with food (‘examiner’s tummy’ is an irksome topic all to itself) and of course the accumulation of tiredness, which can take a lot out of you as you move from one city or country to the next, perhaps leaping across time-zones. I have conducted several diploma-only tours to Hong Kong and Singapore, though most of my ‘solo’ tours these days involve a mix of grades, diplomas and teacher seminars. Each year I take on two lengthy international tours, which has proved to be an excellent way of seeing the world. Examiners get ‘under the skin’ of a foreign place in ways the holiday-maker is less likely to, and I find this an immensely rewarding experience – though undoubtedly the most fatiguing work I have ever done. I have undertaken over 30 international tours, to five continents (alas, we don’t examine in South America, as yet). These have taken me to the snow-topped Himalayas, the dreamy coasts of New Zealand, the stunning Swiss Alps, eerily abandoned South African diamond mining towns, Kathmandu (I happened to be working there just a fortnight before the major recent earthquake), all over the Far East many times, several trips to the USA and Canada, and (a particular favourite) India. I’ve just returned from an extended tour of South Korea and Japan, and am about to depart for New York and Princeton – next year I’ll be in Turkey and Sri Lanka. I also undertake annual Presentation Tours for ABRSM, which involves making whistle-stop fortnight-long trips all over China (as many as a dozen internal flights), explaining to teachers how the exam system can be of help to them, providing a ‘system’ for serious study as well as fostering the simple joy of learning. I occasionally get involved with other aspects of ABRSM too, such as co-writing the Teaching Notes, an informative book to accompany the latest piano syllabus, and composing bits and pieces for various ongoing projects/syllabuses. 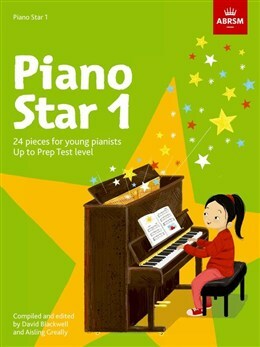 One such project, which has just come into fruition actually, is the Piano Star series: three ‘repertoire’ books leading from pre Prep Test to about grade 1, containing solo items and duets. I also spend the equivalent of about a fortnight per year working for ABRSM’s Reading Panel, which forms part of the organisation’s ongoing quality control machine; we provide forensically detailed critiques (and of course positive feedback!) to support examiners in their quest to write helpful, consistent, well-matched comments. Adjudicating for the British and International Federation of Festivals is another strand of my work which I find very rewarding. Festivals in the UK tend to happen in March and November (when I’m invariably examining overseas), so I would generally expect to manage only perhaps a week or two of adjudicating each year. That said, I have adjudicated many of the festivals in the south of England, plus a sprinkling further north; this year I adjudicated the Singapore Festival of Performing Arts, with a few masterclasses and one-to-one lessons bolted on for good measure. I have adjudicated the EPTA Piano Competition several times, and this year also judged the National Composer’s Competition. An important distinction between examining and adjudicating is the nature and depth of feedback. In a festival, it is often entirely appropriate (and sometimes specifically expected) that the adjudicator will get up onstage and offer help and advice on how to improve what was just heard. In an exam, by stark contrast, there is no provision for feedback ‘in the moment’ – just the comments given on the mark form, which is really the only lasting evidence that the exam ever actually took place. If you were to pick one (or perhaps two! ), which has been the most rewarding and satisfying, and why? The first time we accomplish something important, I guess we tend to etch it into our memory and accord it a certain fondness. My first solo performance was at Bristol’s Colston Hall, aged 11 (the Bristol Evening Post described me as “the intrepid Mark Tanner” – I seem to remember getting lost walking off stage…) and this was followed shortly after by my first BBC TV appearance as semi-finalist in a piano competition called Major-Minor, adjudicated by Sir David Willcocks. My inaugural live BBC Radio 3 broadcast, in which I included a previously unknown work by Constant Lambert and a piece of my own, would certainly rank as a seminal moment, as would my Wigmore Hall debut. Completing my PhD, while simultaneously teaching full-time and establishing myself on the playing circuit, was an especially important five-year period for me, especially since it opened my eyes to the prospect of a side career in writing, from which I continue to gain a great deal of satisfaction. You spend much time in the Far East presenting and lecturing for ABRSM, what differences have you noticed in the approach to teaching and playing in that part of the world, or are they very similar to those in the West? Well, this a question I am often asked, and to which I doubt if I’ve ever given a fully honest answer! My feeling, having examined something in the region of 20,000 candidates all over the world, is that every examining day brings with it the potential for something memorable. In truth, examiners get to experience the full gamut of possibilities (in terms of playing quality) on virtually every tour they undertake. They also get to experience a very occasional tragic or humorous event, which may well turn out to be something they can dine out on for years to come. From my personal experience, the ‘average’ playing one hears in Cardiff will probably shake out as similar to that experienced in Dhaka or Helsinki, though as you might imagine, the extremes of the playing one encounters overseas can be an entirely different matter. As far as I can detect, the teaching in foreign countries (gauged purely in terms of the outcome of an exam) is every bit as effective as we would expect to find here in the UK – sometimes more so. Many young students (including mine!) have loved playing your piano compositions (which have been published worldwide, and feature in a plethora of exam syllabuses), when did you start composing educational piano pieces? How would you describe your style? I studied composition at college – my first ever piece was a full-blown orchestral work actually, which I’d probably shy away from doing today – and it would be fair to say that this angle of my life has grown exponentially over the last decade or so. Composing is something I can do while I’m sat on deck sipping a mocktail on the Queen Mary 2, or squeezed into the corner of a Starbucks in San Francisco, so I suppose this might explain why I have enjoyed devoting more and more of my time to this line of work. As far as style goes, I’m a bit hard to pin down. I have always been interested in jazz and lighter styles (I was an avid fan of Pink Floyd, Genesis, Yes and Uriah Heep in my teens), though of course my training as a concert pianist took me down myriad complex routes, too. In truth, I tend to allow a part of my imagination to run riot while I’m engaged in a particular project. So, by way of example, I’m mid-way through a five-volume piano series called Jazz Hands, which regularly ventures off-piste into more impressionist and even minimalist territory, and I have composed a series of study books for tackling the ABRSM Quick Study called Know the Score, which has helped a variety of instrumentalists to engage more fruitfully with this component of the DipABRSM. My two volumes of folk song arrangements came about as a natural consequence of a CD I recorded with veteran bass-baritone, Michael George, and these again encouraged me to dip my toe into an array of contemporary styles. I love playing around with different textures and re-working familiar structures and progressions until they yield something new and intriguing. Many TCL grade 6 pianists will have enjoyed thrusting their way through The Wit and Wisdom of the Night, a Bernstein-esque little ditty, or finessing The Owl and the Pussycat (a TCL grade 1 piece which is over before it’s begun). The style of these two examples could hardly contrast more, it now occurs to me (The Owl and the Pussycat is more reminiscent of Haydn than Bernstein). Apart from Mozart and Chopin, whose styles were pretty much in place from the earliest age, style seems generally to be a continually moveable feast (Stravinsky is an excellent example of a composer who was forever reinventing himself). The minute we attempt to define style, it has already begun to morph into something else. Composers, not unlike artists in my experience, can be a little disingenuous in that we wish to be regarded as ‘individual’, while at the same time often enjoy dabbling in genre-crossing. Besides, there is nothing intrinsically wrong with being a little derivative as a composer. Improvisation of course ties in inextricably with composition (the latter in some senses emerging as a ‘formalisation’ of the former), though the miracle of composing amounts to a coming together of real experiences in resonance with imagined ones. When composing, what aspects are, for you, key? Do you hear the piece in your head before writing, or do you prefer working it all out at the piano? An excellent question, which I shall proceed to dodge, strategically. In the same way that some Beatles melodies foreshadowed the lyrics, and others the reverse, I tend to respond to the moment and then run with it. There have been times when, for example sitting next to an elderly gentleman tapping his stick on the New York subway, I have found myself itching to compose a piece using an unusual 15/8 rhythm. But there are also occasions – for example, when I am getting close to finishing off a book pitched at a particular grade – where a more pragmatic approach proves necessary in order to hit the brief. For a piano piece to be fully pianistic, it would be silly not to road-test it thoroughly, sat at the instrument, or in the case of a violin or flute piece, to run it past an expert. Composers generally write pieces in order to coax a strong emotional response from the player and listener, not simply to be ‘clever’. This requires an appetite for new ideas, though in reality some of these may be partially preconceived. Ultimately one must trust in one’s musical intelligence. I thoroughly enjoyed reading your new book, The Mindful Pianist, which has just been published by Faber Music, and is part of the ongoing Piano Professional Series (published by EPTA or the European Piano Teachers Association). ‘Mindful’ piano playing has become fashionable, why do you feel it’s important? The whole mindfulness platform brims with potential; it can be of great value to musicians of all persuasions. To say that mindfulness has enjoyed a recent resurgence (I’d entirely agree – everything from macramé to bread-making and surfing) is perhaps a bit like saying that religion has grown in popularity. In truth, mindfulness is probably as old as human thought, though it evidently came of age through the earliest Buddhist teachings. Musicians, and perhaps pianists in particular, often become side-tracked by their longer-term ambitions – for example, an upcoming exam or public performance – and though entirely understandable, such preoccupations tend to uproot our sense of the present moment. We end up overthinking, over-reaching, over-compensating and over-reacting to aspects of our musical lives lying some way off in the future, instead of focussing on what is happening right now, sat at the piano. This remarkably simple starting point is nevertheless the trigger for my book – we need to learn how best to harness all this energy and ‘spend’ it where it will be most likely be of optimum value. From here, pianists can gradually home in on the practicalities of learning and evolving, attending to details and working up a really compelling performance. 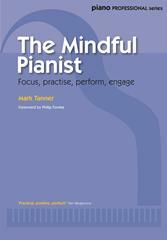 The Mindful Pianist is split into four broad areas of study: focussing, practising, performing, engaging. Each area challenges the reader (who might be a seasoned pianist, or perhaps a keen amateur) to reappraise what they are doing and head off the blight of performance anxiety. Occasionally, it seems the teacher can unwittingly contribute to a less than robust approach also, perhaps by glossing over the specific needs of the individual student, or else by over-emphasising a particular facet of playing and skimming over others. The role of the teacher, as I reinforce more fully in the book, is to teach the pupil to teach himself, so that every practice session becomes a self-taught lesson. If we are not encouraged to take responsibility for our practising and performing, we can never fully flourish. Did you re-exam you own approach to the piano when writing this book, or are the ideas mostly derived from your work over time as a teacher? The book is most definitely a coming-together of different strands of my teaching (and of course thinking) over thirty years, and feeds directly into the whole conundrum of piano playing. Though piano playing is a fine motor skill, I feel it ought not be segregated too far from the broader objectives of teaching and learning. Analytical approaches (I go into these in some depth in the book, and offer some innovative models) are examples of how the enlightened teacher can trigger a creative response from their pupils. Teachers of course learn all the time from their pupils’ mistakes, not to mention their own. The book is peppered with quintessential advice and suggestions from other piano teachers and pianists, which adds a richness, emphasizing your fundamental points. In your own education, which teachers have been an important influence, shaping your teaching and playing? The power of a teacher to help you learn is, I believe, inextricably tied to your own capacity to respond and adapt. This is why we feel more tuned in to certain approaches and correspondingly switched off by others. Nonetheless, I like to feel I have gained as much from participating in masterclasses with pianists such as Peter Donohoe, as I have from my ‘regular’ teachers, who have included Gwyn Pritchard, Geoffrey Buckley, Philip Martin and Richard McMahon. They each played to their strengths as pianists (and in Gwyn’s and Philip’s case, as composers, too) as much as their qualities as teachers, which explains what I was able to take away from those lessons. Gwyn first opened my eyes to the value of thoughtful, methodical practising; Geoff endlessly impressed me with his extraordinary repertoire and powers of recall; Philip had me rolling around in fits of laughter (while gently nudging me to tackle some mammoth pieces); and Richard showed me what it is to be a resourceful ‘virtuoso teacher’ (as Paul Harris optimistically coined it in his book by the same name). You teach many advanced adult students (at Chethams Summer School, Jackdaws Educational Trust, EPTA, and other educational institutions), how do their issues differ from those of the younger piano student? Adults present a wholly different set of challenges for the piano teacher. Just as children are not small adults, adults are not big children; we so easily overlook this stunningly obvious observation. Younger players abound in energy, confidence and a gung-ho approach (not universally, but often, in my experience), while adults not infrequently fall victim to their own idiosyncratic psychological foibles. One manifestation of this (which, again, I tackle briefly in the book), would be choosing repertoire – for the physical capacity to play Rachmaninov is a quite different matter from the desire to do so; unfortunately, overstretching our capabilities can have a profoundly negative outcome over the longer term. Piano playing is hard enough without adding to the difficulties by persevering with repertoire which lies beyond our scope. Similarly, the acquisition of a reliable technique is but one among many equally worthy elements of successful piano playing. While stretching ourselves to the next level is always a commendable goal, arguably we will reach grade 6 more efficiently by first working up a clutch of grade 5 pieces to a good level, rather than by toying around ineffectually with a bunch of grade 7 pieces. In summer schools, teachers routinely encounter a startling range of promising students – youngsters who can whizz through the Emperor Concerto without turning a hair, or older teenagers who are already able to improvise in any style from Scriabin to Coldplay. But there will be others for whom piano playing seems to have become all about persisting with a couple of pieces with which they feel a certain bond or kinship; this bittersweet tussle can endure for decades and is not always the most profitable use of their time, I’d suggest. The younger player could undoubtedly learn from his more senior counterpart, whose grasp of the musical landmarks in a piece may well be more sophisticated; conversely, the older pianist might take a leaf out of the teenager’s book as regards holding momentum and generally ‘going for it’. Knowing oneself is key to honing an approach that will prove fruitful over the longer term. What advice could you bestow to the many pianists preparing to take performing and teaching diplomas, particularly regarding programming? Mm…this is a knotty one. For a performing diploma, I would usually recommend a less-is-more approach. My father has a saying: “Better to be thought a fool than to open your mouth and prove it”. In other words, why open yourself up to the possibility of demonstrating what you cannot do? Playing from memory, when this is not something that comes naturally to you, would be a prime example. If there is an own-choice component (as is the case for all three of the established ABRSM diplomas, and indeed the new ARSM, which is exclusively concerned with performing), then this is most definitely something worthy of serious consideration. In general, my advice would be to put your best foot forward – start and end your programme with a strong item you know you can play exceedingly well (even if a noisy demonstration suddenly starts up on the street outside – which happened to me once in a St John’s Smith Square recital). Don’t feel hidebound by tradition, convention or chronology – it’s ok to end with Bach, so long as your choice ‘works’ – and by the same token you might consider launching your recital with Shostakovich. Pace yourself, both as regards the mental and physical stamina demanded by the occasion. Listen at least as intently as the examiner will be, and if something goes astray, airbrush out the memory in an instant – don’t let it snowball into a series of debilitating calamities. For teaching diplomas, my best advice would be to know your stuff inside out. Many candidates sidle into an exam room with what looks like a shopping trolley brimming over with books they’ve borrowed; but when asked to put their hands on something specific, let’s say a grade 4 piece with issues of pedalling, they find themselves completely scuppered. Better, in my opinion, to bring in two handfuls of material with which you are wholly familiar, so that you can dip into it at a moment’s notice, even when under exam pressure. In the viva voce, take your time and answer the question. If you slip off topic too frequently, your examiner will be bound to lower his/her opinion of you. When you speak, aim to form sentences which have a beginning, middle and end; stick to your guns and think ahead to where you’d like to steer the topic next. Doing this will place you more in control of what is being discussed; from here you will be more able to reveal those little nuggets of information you’ve stored away. In a few words, can you sum up the most crucial aspects of mindful piano playing; ones which students can immediately implement into their practice routine? Start each session with something you can already play quite well, and finish with something you can play even better. In the middle part of your practice session (which in the majority of cases ought not to exceed an hour or so at a time), be prepared to fulfil a series of small, achievable objectives – tick these off one by one in your mind. If you are not measurably better after your practising, you cannot claim to have been working very effectively. Breathe calmly, pause for thought and reflect on what just took place at regular intervals. Think clearly about what you are broadly hoping to achieve for each task – then pursue it with confidence, courage and determination. Shake things up a bit when you are getting bored or restless, and in general, work from the back of a piece to the front, especially if it happens to be a large-scale work, for example a sonata or concerto. Queue up the bits of a piece which are giving you the most trouble and deal with each ‘quarantined’ passage one at a time, thoughtfully and methodically. Resist the temptation to pound away at something difficult, getting faster and faster as you do so; instead, isolate the problem, rather as a surgeon might, and deal with it mindfully: less haste, more speed. Record yourself practising from time to time, to gain a more ‘fly on the wall’ perspective, and take all opportunities to play for others, especially if your ultimate goal is to perform in some kind of ‘event’. Finally, practise practising, then practise performing – these are two quite distinct modes of working, each of which requires a specific mental outlook. Most musicians in today’s world find social media a vital ‘tool’, however, you have successfully managed to side-step this marketing device, was this a conscious decision? Do you feel it isn’t as important as many might have us believe? Twitter is something I am beginning to get to grips with, at long last, though I have been less enamoured by Facebook so far; I may well give in soon though. As with any form of communication, or networking, my feeling is that we shouldn’t bother to proclaim things unless we feel confident they are worth hearing; otherwise, we end up contributing to a bottomless quagmire of trivial nonsense. I also feel that if we do not impose a restraining order on our social media activities they can end up draining away every spare moment in our lives. On balance though, we cannot hope to gain advantage from social media if we are not prepared to take an active role. With this in mind, I have begun to add a series of ‘how-to’ videos to my Twitter feeds. I now have two: @MarkTannerPiano and @MindfulPianist. It strikes me that we all use social media in different ways in order to accomplish different objectives. It falls upon each of us to decide where the useful stuff turns the corner into banality. You can explore Mark’s music here, and purchase The Mindful Pianist, here.